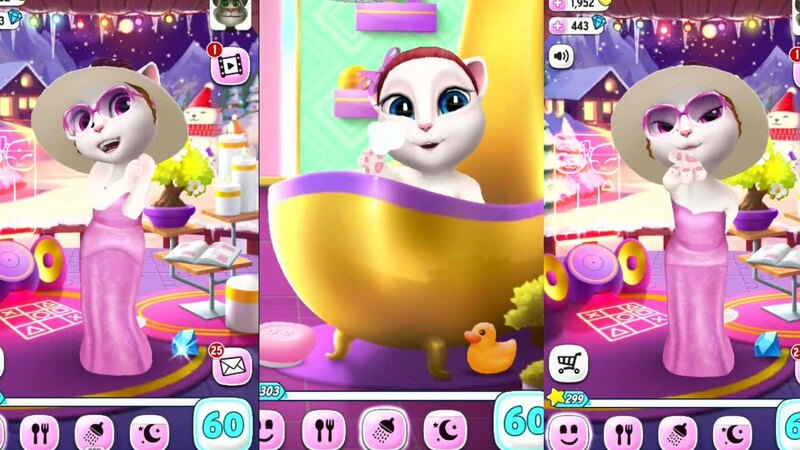 My Talking Angela game APK is the female version of My Talking Tom, a game Pou or Tamagotchi style, where you have to take care of the little cat Angela. Our sympathetic protagonist begin the game as a baby, and with our help will have to grow into a beautiful cat. Players will have many opportunities for interaction in My Talking Angela. The most important, of course, they include feed, manage hygiene and take her to bed to sleep. We can give you lots of different foods such as crackers, vegetables, junk food ... and we can also help showering or brushing teeth (you must manually move the toothbrush). Now, Angela not only eat, bathe and sleep it. 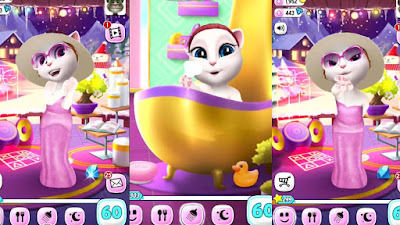 In My Talking Angela we can also play several different mini games for our cat have fun. In the same way we can take her shopping and buy clothes, wigs and accessories. Even we will have a sticker album that we can go collecting with the help of Angela. 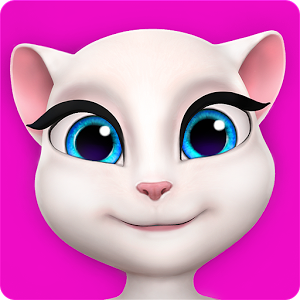 My Talking Angela APK is a more complete version of the classic My Talking Tom, which has more interaction options and better graphics. Definitely an interesting application for those looking for a 'new Pou' that is also considerably nicer.